Begun by the famous sculptor and patron of the arts, Gertrude Vanderbilt Whitney (1875-1942), the collection of the Whitney Museum of American Art of New York provides a veritable anthology of 20th-century art. 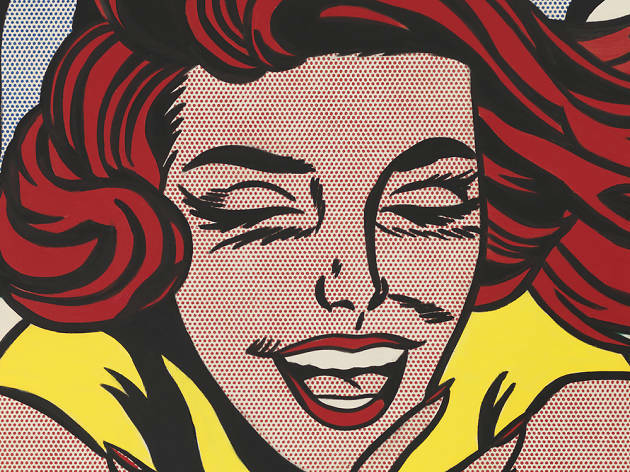 This collection contains remarkable artworks from the Pop Art Movement. Including paintings, sculptures and prints, more than sixty works will be presented for the first time in Paris, at the Musée Maillol, from the 22 September 2017 to the 21 January 2018. The exhibition focuses on Pop Art in post-war American art, from the beginning of the 1960s to the end of the 1970s, and includes formative figures from the Pop Art movement: Robert Rauschenberg and Jasper Johns, the sculptures and monumental canvases of Claes Oldenburg, Tom Wesselmann, James Rosenquist, and Alex Katz, the serigraphs of Andy Warhol, and the paintings of Jim Dine and Roy Lichtenstein. Although the exhibition features the movement’s most prominent artists, it also includes American artists who are less well known in France (George Segal, Rosalyn Drexler, May Stevens, John Wesley, and so on) and enable viewers to appreciate the diversity of the techniques employed. At the beginning of the 1960s, in just a decade, a generation of artists emerged in the United States in reaction to the abstract expressionism that predominated at that time. The consumer society developed as the economy prospered. 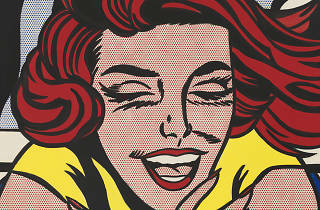 It was in this context that Pop Art emerged. The Pop movement artists generally represented everyday objects and the signs of popular mass culture, and they employed the techniques used by advertisers and comic strips that incorporated textual elements. This art movement was also characterised by the use of uniform coloured areas comprised of pure, intense, and contrasting colours, using a technique known as ‘Hard Edge’. It affirmed its belief in the power of the image, and it was often humorously, even ironically, that it reappropriated iconic figures such as Kennedy and Marilyn Monroe, and depicted ‘the American way of life’, in order to celebrate and criticise it at the same time.